Microsoft Flight Simulator X was the tenth and last game in the venerable series. Flight1 are the enthusiastic cockpit-modellers behind the Ultimate 146 Collection. The genius of Dovetail Games, the publishers who’ve acquired the rights to distribute X’s Gold Edition, was in pairing the two. For the first time in a good long while, new add-ons for the Flight Simulator series will be developed and sold on Steam. Want more Flight Sim X? Here are the best Flight Sim X add-ons. Flight1 have worked on the series before – putting together some of the best Microsoft Flight Simulator X add-ons. They’re old hands, but not so old they’ve grown shaky and frighten the passengers. 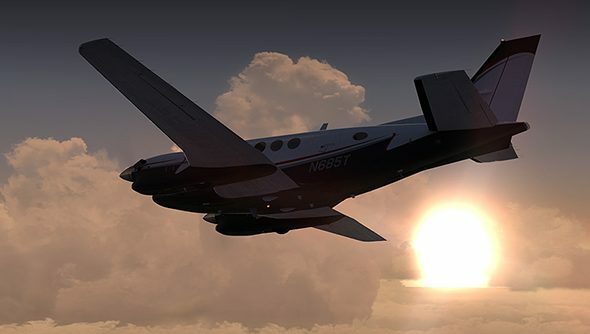 Beyond Flight Simulator, Dovetail and Flight1’s partnership extends to the release of much of Flight1’s back catalogue on Steam, “on an ongoing basis”. In short, it looks like flight sims are finally ready to take their rightful place in Steam’s flourishing Simulation section. Are you looking forward to seeing Microsoft Flight Simulator appear between the clouds on the front page?